* Anemia occurs when the blood is deficient in red blood cells (RBCs) or hemoglobin (the oxygen-carrying portion of RBCs). 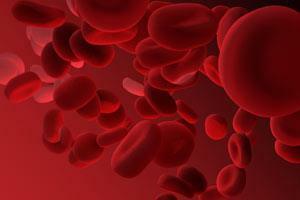 Anemia results in a reduced capacity of the blood to carry oxygen to the body. * The most important point to note about anemia is that it may be a sign of an underlying condition. There are many causes of anemia, and it is essential to have the cause correctly diagnosed in order to properly treat it. * The most common cause of anemia is reduced red blood cell (RBC) production. In this condition, RBC production rates are affected by nutrition deficiency, the most common of which are iron, vitamin B12 and folic acid deficiencies. 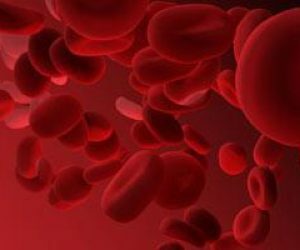 * Other causes of anemia include blood loss (internal bleeding, ulcers, heavy menstruation), and high levels of RBC destruction (injury or hereditary conditions such as sickle cell anemia). Note that these conditions must be accurately diagnosed in order to treat anemia. * The symptoms of anemia often go unrecognized as they are common to many other ailments, they may include loss of appetite, extreme fatigue, headaches, irritability, constipation, dizziness, pale skin, lips and eyelids, and in women, cessation of or sporadic menstruation. * Dietary considerations for the most common form of anemia include: – Avoiding foods that interfere with the absorption of iron such as, nuts, cocoa, chocolate, candy, soda, tea, coffee, beer, dairy products, and products containing sugar. – Do not smoke or passive smoke. – Increase intake of foods such as bananas, raisins, whole grains, parsley, plums, blackstrap molasses, green leafy vegetables, peas, prunes and dried fruit. Good sources of iron also include beetroot, sunflower seeds, beans, whole grains, lentils, nuts and sea vegetables.. – Include foods that are high in vitamin C, this increases the uptake of iron by the body. – Avoid eating high fiber foods with iron supplements and/or foods containing iron, as iron is excreted with fiber via stool. VITAMIN B6 – PYRIDOXINE – Helps the body to absorb proteins and use fats, promotes red blood cell formation, maintains chemical balance in body fluids and aids absorption of vitamin B12. Sources include carrots, wheat germ, walnuts, sunflower seeds, brewer’s yeast, bananas, brown rice, whole grains, tempeh, and alfalfa. 100 mg daily may be of use in vitamin B12 related anemia. Note that the use of cortisone drugs prevents the absorption of vitamin B6. VITAMIN B12 – CYANOCOBALAMIN – Aids in the general health of body cells and nerve tissue, assists in the production of blood. Kelp, kombu, nori, soybeans, alfalfa, hops milk and cheese are good sources of vitamin B12. 2,000 – 6,000 mcg daily in divided doses may be of assistance in vitamin B12 deficiency related anemia. Injections taken under medical supervision may also be used. FOLIC ACID – Helps to promote normal red blood cell formation. Folic acid is not readily stored in the body therefore regular intake is necessary. Sources of folic acid include chickpeas, green leafy vegetables, lentils, oranges, peas, brewer’s yeast, sprouts and rice. 800 – 1,600 mcg daily in divided doses may be of help in folic acid deficiency anemia. Note that it is necessary to take vitamin B12 with folic acid as the folic acid supplement may mask a vitamin B12 deficiency. VITAMIN C – An important antioxidant, used for cell and inter cellular structure, boosts the immune system, interacts with other nutrients including iron. Sources of vitamin C include tomatoes, citrus fruits, potatoes, berries, brussel sprouts, peppermint, papaya, pineapple, cantaloupe, kale, sweet peppers, alfalfa, parsley, broccoli and cabbage. 3,000 – 10,000 mg daily in divided doses may assist in the uptake of iron, useful for iron deficiency anemia. Do not use more than 5,000 mg daily if pregnant. Use esterified vitamin C if you use aspirin. Large doses of vitamin C may cause diarrhea, may deplete the body of copper and may affect the reliability of oral contraceptives. IRON – Is used to form hemoglobin (the oxygen carrier in RBCs) and myoglobin (the hemoglobin of muscle cells). Food sources of iron include citrus, soybeans, dandelion, rose hip, almonds, blackstrap molasses, dates, brewer’s yeast, sesame seeds, prunes, lentils, seaweed – dulse and kelp, tomatoes, milk, cheese and vegetables. Use a ferrous succinate form of iron supplement. Take 30 mg twice daily with vitamin C. To attain optimum absorption, avoid taking iron supplements with food or with the following: zinc, vitamin E, calcium or antacids. BILBERRY – Increases the flexibility of red blood cells (RBCs). Use according to label instructions. DANDELION – A traditional treatment for anemia. Dandelion contains many nutrients including iron. Use according to label instructions. NETTLE, STINGING NETTLE – Contains many nutrients including iron. Use according to label instructions.